Today, I’m going to deviate a little bit from my usual recipe posting. Happy Valentine’s Day! I hope that all of you had a wonderful day. I love Valentine’s Day so much; when I was growing up, my family celebrated it as a family holiday. It was about love, of course, but not about love and romance. It was about brotherly (and sisterly) love. It was about God’s love. 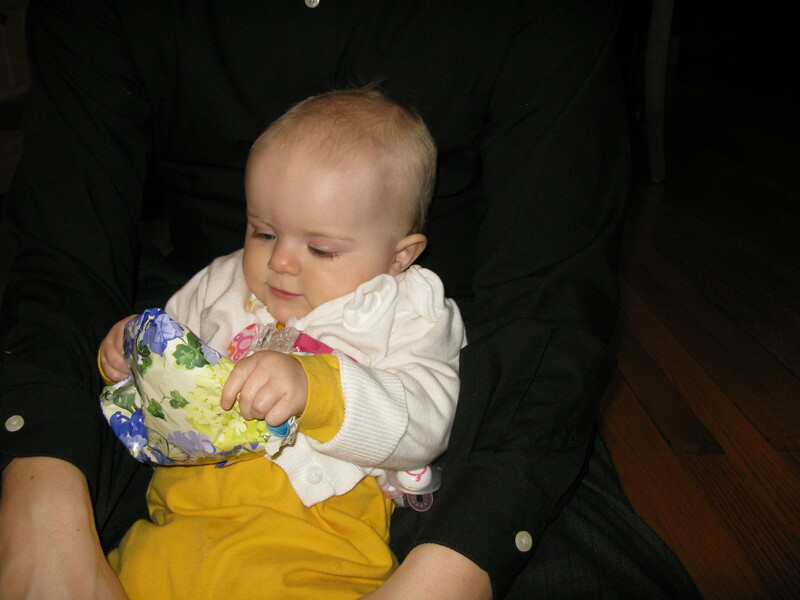 We would give each other little presents and Mom and Dad would give us little presents. I remember many delightful celebrations, including one where I made a game in which, at some point, Dad had to open the kitchen window and holler “Happy Valentine’s Day” to anyone who was listening. I’m trying to start Valentine’s Day traditions for my own family. 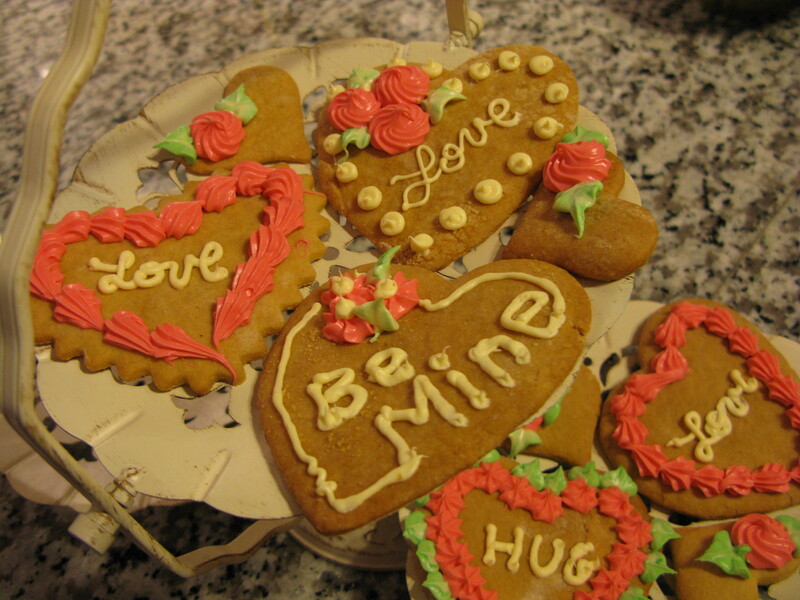 So, this year I made Valentine’s Day cookies. 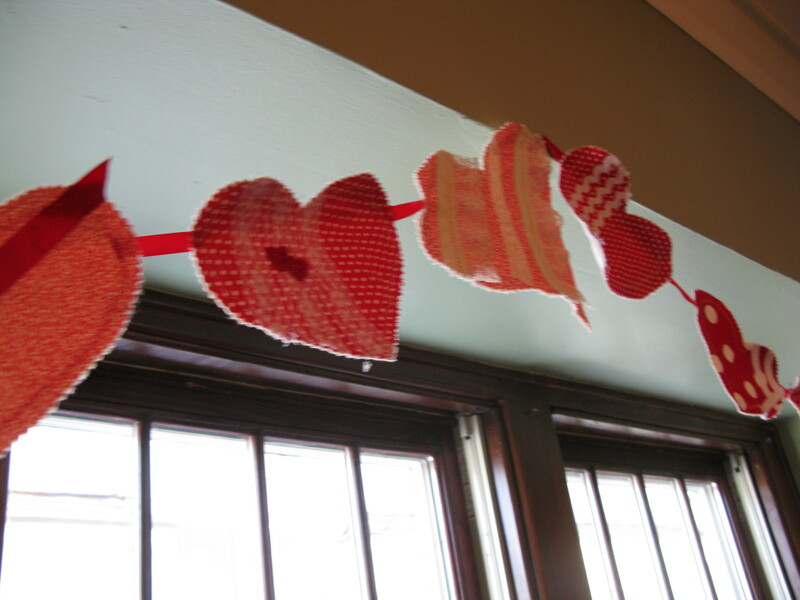 I also sewed a heart banner to hang over our dining room windows. It wasn’t too much work and I can re-use them every year. 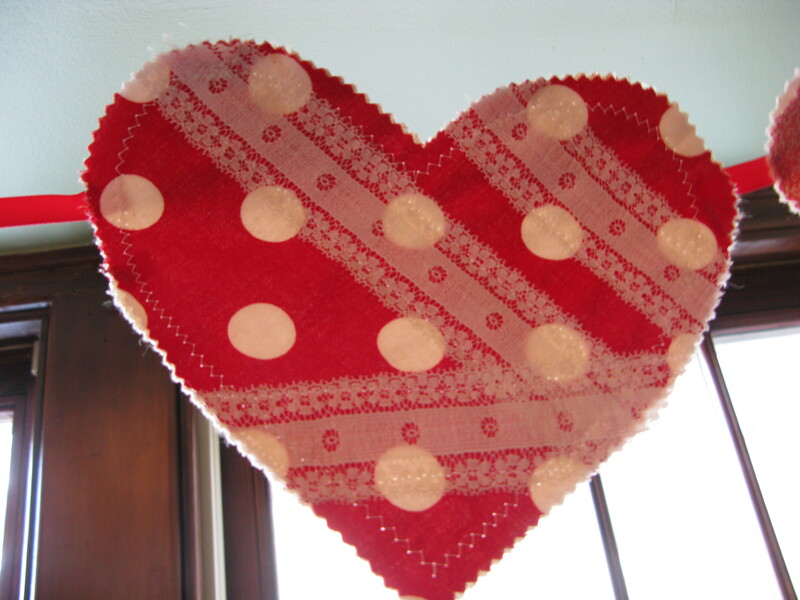 I used scraps of red cloth backed in a stiff muslin. I trimmed them with bits and pieces of red and white trim I had laying around–ribbon, lace, and rick-rack, mostly. 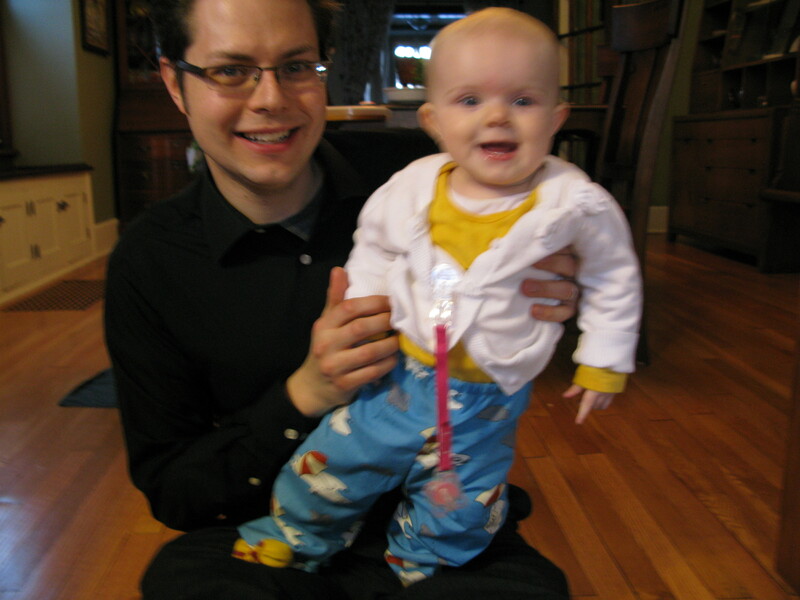 And for gifts, I made Justin & Evelyn matching pajama bottoms/pants. (Evelyn will probably wear hers as pants. Justin will wear his as pajama bottoms. Happy Valentines Day, everyone. Tell someone you love them.